Chennai, February 2: In keeping with its reputation as an institution always on the move and in step with the swiftly changing times, the Madras Motor Sports Club on Friday unveiled a significant upgrade to the Paddock and related facilities. 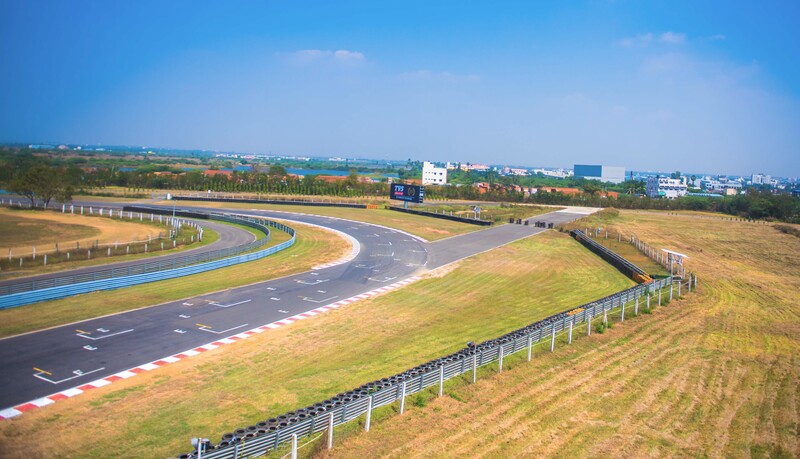 A new pit complex with garages and hospitality suites has been developed at a cost of over Rs 20 Crore, at India’s first FIA-licensed track here. 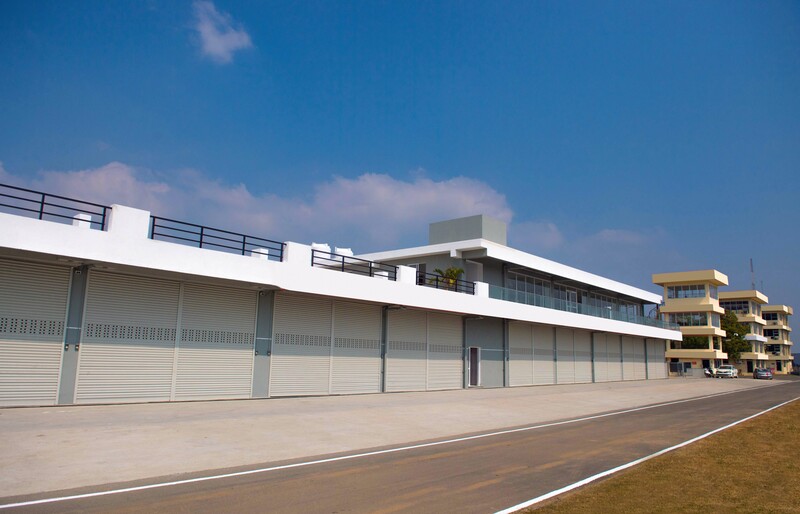 In a matter of a year, the MMSC carried out massive development work with 20 pit garages, a spectator viewing terrace and VIP hospitality suites that can accommodate up to 400 people along the the pit-lane on the eastern side, thereby creating a truly international-standard facility at the MMRT in Irrangattukottai, near Sriperumbudur. The development work has already received rave reviews from the competitors and aficionados. The spacious garages for the teams allow the competitors and their teams to have plenty of space to work on their cars and bikes. 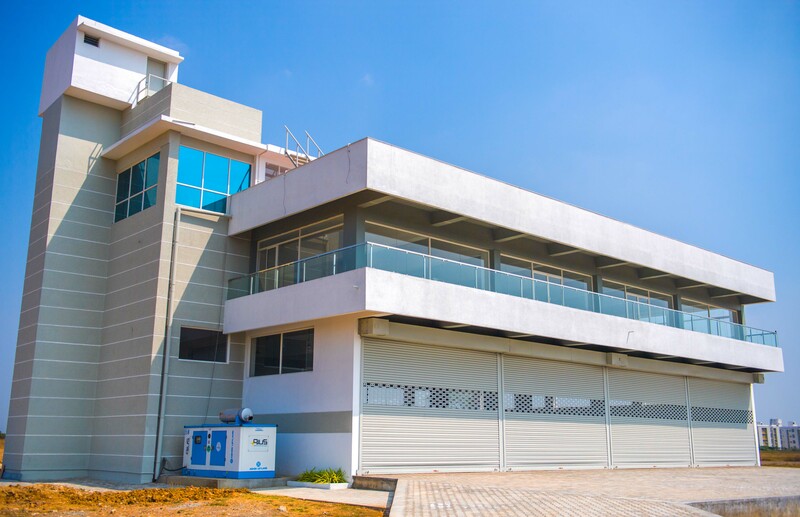 The new pit complex follows on from the upgrade done to the race control room with state-of-the-art hardware installed last year as well as India's first and only bespoke a drag strip. A second paddock on the western side with its own short circuit allows the MMSC to effectively split the track into two and host two separate events concurrently. Chennai, September 23: Rajiv Sethu successfully led a Honda assault on TVS Racing’s supremacy to score a brilliant victory over defending champion Jagan Kumar in the premier Super Sport Indian 165cc class as the fourth round of the MRF MMSC fmsci Indian National Motorcycle Racing Championship concluded at the MMRT, here on Sunday. The victory notwithstanding, Jagan, the TVS Racing team’s spearhead, garnered crucial 18 points for his second-place finish today that consolidated his position at the top of the championship table with a tally of 148 ahead of team-mate KY Ahamed (128), winner of the first race yesterday and who finished fourth behind Honda Ten10 Racing’s Mathana Kumar in the second outing today. The other highlight of the day was the grand double by Prabhu Arunagiri (Team Alisha Abdullah) in the Pro-Stock 301-400cc category which is set for a grandstand finish in the final round in December. Only five points separate the top three – Satyanarayana Raju of Gusto Racing (119), team-mate Amarnath Menon (118) and Arunagiri (114). Chennai, September 22: KY Ahamed scored a sensational last-lap victory in the premier Super Sport Indian 165cc class to lead a 1-2 finish for TVS Racing in the fourth round of the MRF MMSC fmsci Indian National Motorcycle Racing Championship at the MMRT, here on Saturday. On a day which witnessed crashes in virtually every race, Prabhu Arunagiri (Team Alisha Abdullah) took the honours in the Pro-Stock 301-400cc class race that was red-flagged and re-started while Senthil Kumar (Honda Ten10 Racing) was gifted a victory in the Pro-Stock 165cc race after leader and team-mate Mithun Kumar went down. Meanwhile, 17-year old collegian from Chennai, Ann Jennifer chalked up her third win of the season in the Girls (Stock, 165cc) race after surviving a close fight with her Sparks Racing team-mate Ryhana Bee. The final outcome of the Super Sport race was in suspense until the last lap with Ahamed, his team-mate and defending champion Jagan Kumar and Honda Ten10 Racing’s Rajiv Sethu locked in a tight battle. On the last lap, going into the right-hander before the Bridge Complex “S”, Sethu ran wide and crashed even as Jagan dipped on the inside to overtake. It put Ahamed in the clear as he flashed across the finish line ahead of his mentor Jagan for his third win of the season. Honda Ten10 Racing’s Mathana Kumar came home a distant third, followed by team-mate Sarath Kumar while Sethu picked himself up to finish fifth. The result took Jagan’s tally to 130 followed by Ahamed (116), Sarath and Mathana (both 82) and Sethu (80), going into tomorrow’s Race-2 of the double-header. The Pro-Stock 301-400cc race saw championship leader Amarnath Menon (Gusto Racing) crashing at Turn-3 which brought out the red flag. On re-start, Arunagiri, who had led from pole, maintained his track position at the very front to win comfortably even as his nearest challenger Satyanarayana Raju (Gusto Racing) retired due to an electrical failure. Finishing behind Arunagiri were Sparks Racing duo of Rahil Shetty and Peddu Sriharsha. With his second win of the season, Arunagiri moved up to 89 points to be placed third behind Menon (108) and Raju (101), going into the second race tomorrow. Super Sport Indian 165cc (Race-1, 6 laps): 1. KY Ahamed (TVS Racing) (11mins, 43.269secs); 2. Jagan Kumar (TVS Racing) (11:43.938); 3. S Mathana Kumar (Honda Ten10 Racing) (11:47.955). Pro-Stock 301-400cc (Race-1, 5 laps): 1. Prabhu Arunagiri (Team Alisha Abdullah Racing) (09:47.289); 2. Rahil Shetty (Sparks Racing) (09:53.426); 3. Peddu Sri Harsha (Sparks Racing) (09:58.214). Pro-Stock 165cc (Race-1, 6 laps): 1. Senthil Kumar (Honda Ten10 Racing) (12:09.582); 2. Kevin Kannan (Rockers Racing) (12:11.485); 3. Rahil Shetty (Sparks Racing) (12:11.778). Girls (Stock, 165cc, 5 laps): 1. Ann Jennifer AS (Sparks Racing) (11:11.767); 2. Ryhana Bee (Sparks Racing) (11:12.072); 3.Shruthi Nagarajan (Apex Racing Academy) (11:25.611). Yamaha-MMSC One-Make Championship (Novice, Race-1, 5 laps): 1. Varun Sobhan (Cherthala) (11:07.221); 2. Ajai Xavier (Pune) (11:07.843); 3. Hari Prasath (Vellore) (11:20.423). Chennai, September 21: Rajiv Sethu of Honda Ten10 Racing snatched the pole position in the premier Super Sport Indian 165cc class ahead of his TVS Racing rivals to set up an intriguing contest on the morrow after qualifying session in the fourth round of the MRF MMSC fmsci Indian National Motorcycle Racing Championship at the MMRT, here on Friday. Sethu put in a blistering lap of one minute, 54.999 seconds to nose out TVS Racing duo of defending champion Jagan Kumar (01:55.034) and Deepak Ravikumar (01:55.409). Jagan heads the championship table with 112 points, well clear of team-mate KY Ahamed (91) who qualified fourth (01:55.481). Sethu (70), who drew a blank in the previous round earlier this month, is placed fourth in the championship behind Ravikumar (74). Earlier, Prabhu Arunagiri (Team Alisha Abdullah) qualified for pole position in the Pro-Stock 301-400cc category though he did just three laps, but his timing of 01:54.857 was enough to put him ahead of the pack. Sparks Racing’s Rahil Pilari Shetty was second quickest followed by championship leader in this category, Amarnath Menon (Gusto Racing).